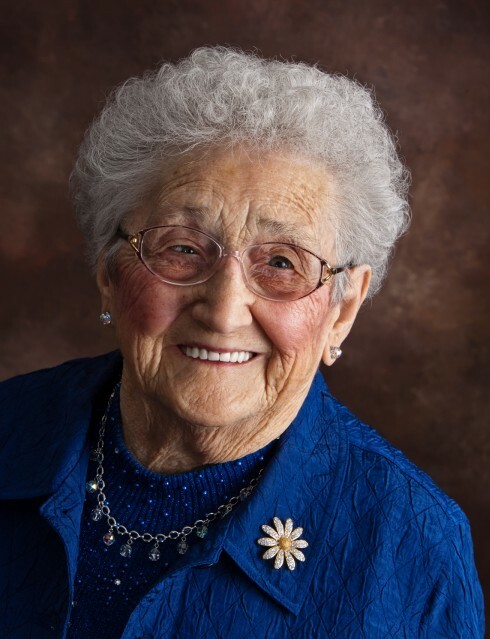 Obituary for Helena (Priddle) LaFosse | W. J. Dooley Funeral Service Ltd. It is with deep sadness we announce the passing of our Mom, “Nan" and “Little Nan," Helena LaFosse, at the Northside Community Guest Home on January 28, 2019, surrounded by her loving family. Helena celebrated her 98th birthday on January 1 and always commented on what a wonderful life she enjoyed. Helena was originally from Francois, NL and later moved to Port-aux-Basques, with the love of her life, Edgar LaFosse. They eventually moved to North Sydney where they raised their family. Despite her small stature, Helena was larger than life to her family and friends. She loved nothing more than spending time with her grandchildren and her great-grandchildren, who all admired her deeply. She ensured that every one of them had a special blanket that she took great pride in knitting. Helena was an inspiration to all who knew her. She was noted for her kindness and gentle disposition. Helena took great pride in her Newfoundland roots and music. She was totally unselfish and never complained about anything. Helena especially enjoyed playing cards and crib and seldom lost. She will indeed be sorely missed. Helena was very involved in her community, particularly the St. John the Baptist Anglican Church in North Sydney. She participated in the ACW, Altar Guild, AMCA, the Council of Churches and was the president of the Married Couples Association. She was a member of the Senior Citizens and Pensioners Club and the Golden Years Club. She was a volunteer with the North Sydney Food Bank until she was 90, the VON Foot Clinic and the Canadian Cancer Society. Helena spent the last 2.5 years living in Joseph Hall at the Nursing home where she established “Helena’s Knitting Corner” and where she enjoyed the company and friendship of the other residents and the staff. She particularly enjoyed the music and entertainment at the home. She is survived by her daughter Mary Hillier and her son Guy LaFosse (Debbie Keating) and her daughter-in-law, Sheila LaFosse. Also surviving are her grandchildren, Shauna (David Snow), Tonya (Ross Krill), Jeff (Katie), Angie (Tavis Church), Nicole (Ian Parker) and Justin (Katie), and her great-grandchildren, Makayla, Kiana, Ian, Ryan, Sophia, Chloe, Matthew, Teagan, and Graydon. Helena is also survived by her brother-in-law Tom LaFosse (Millicent), her sister-in-law Gwen LaFosse and numerous nieces and nephews. Helena was predeceased by her husband, Edgar, her son, Edgar Jr., son-in-law, Sandy Hillier and her daughter-in-law, Heather MacLeod-LaFosse. Helena was also predeceased by her parents John and Susanna Priddle and by her siblings Matt, Reuben, Nelson, Charlotte and Gladys. The family wishes to express their sincere appreciation and thanks to the nurses, staff and volunteers at the Northside Community Guest Home for their care, kindness and compassion and to Dr. Sirakumar and Dr. Bill MacDonald. Visitation for Helena will be held from 2-4 and 7-9 p.m. on Thursday in the W.J. Dooley Funeral Home, 107 Pleasant Street, North Sydney. A funeral service will be at 11:00 a.m. on Friday at St. John the Baptist Anglican Church, North Sydney. In lieu of flowers the family asks that memorial donations be made to either the St. John the Baptist Anglican Church or the Northside Community Guest Home. Online condolences may be sent to the family at www.wjdooley.com.